The two of us stood in silence for a split-second – it was such a wonderful gesture, completely out of no where and for nothing in return – I practically fell over myself saying thank you – to which she simply waved me away and then skipped off to find a replacement bag of pasta as she’d noticed that the one in her trolley was split. 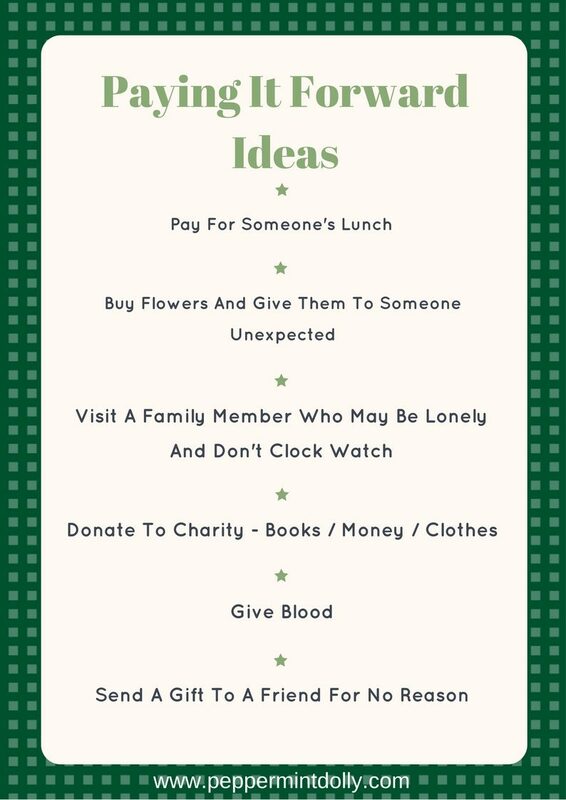 This got me thinking, for a time we were inundated with “pay it forward” stories on social media but of late there’s not been much around – however – ’tis the season, so below I’ve created a list of paying-it-forward ideas, let’s make a deal that we’ll all tick at least one off the list before Christmas – what do you say? The world is always in need of goodness, so let’s spread some good joo-joo out there!